During the last quarter of the 15th century, prints such as etchings, woodcuts and engravings gained some prominence among the pictorial arts as printmakers began to adopt the formal vocabulary of painters and sculptors. At the same time, they began to shed their anonymity as craftsmen as they worked more independently, becoming Masters of their local artist’s guilds. 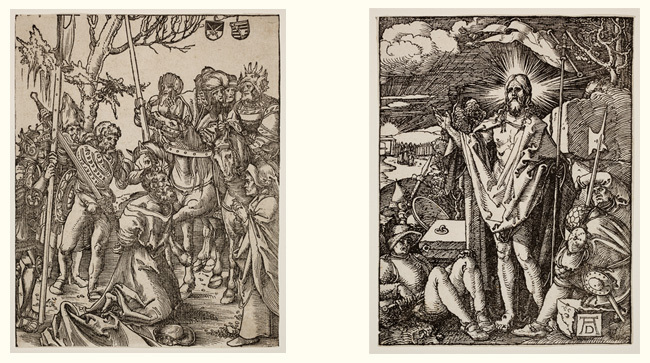 Many of these Masters, Albrecht Dürer and Lucas Cranach among them, worked in other mediums, but it was their prints that created their international reputations. Their works on paper could achieve a wider distribution than their paintings. Old Master Prints of the 15th and 16th Centuries: Selections from the Art Museum Collection focuses on the German Old Masters and their role in the evolution of European printmaking.